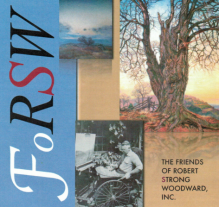 RSW- Artwork page, "The Twin Barns"
See also The Last of Winter for a related piece. 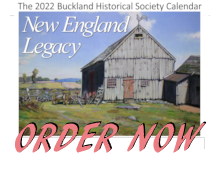 "Worked on the original oil painting for 20 days, April 5 to 25, 1932." There is an oil painting of this same scene and having the same title painted in 1932. This chalk drawing is privately owned. 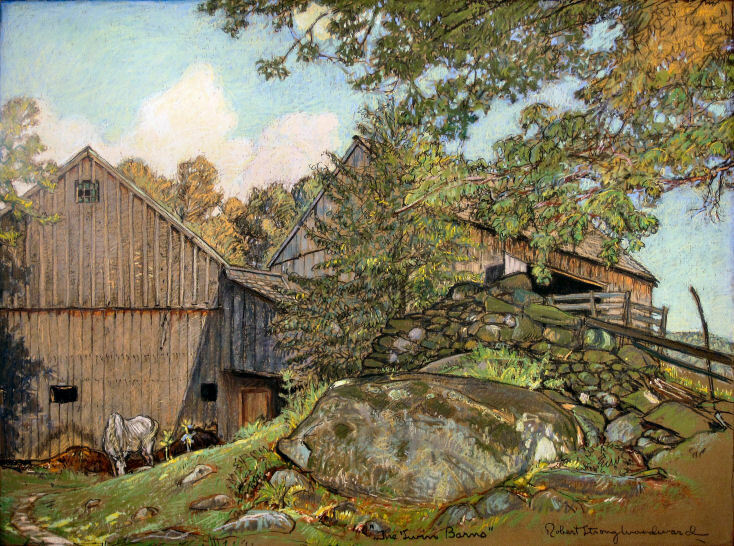 "The Twin Barns is a charming study in green slope, near green sky and dark buildings, friendly, inviting old barns they are." 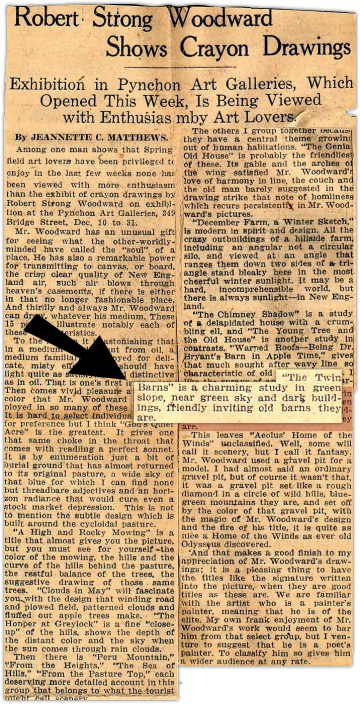 An article clipping from the New Hamphire Transcript regarding RSW's exhibition at the Deerfield Academy (1932)"Twin Barns" is not mentioned specifically but was one of the 10 'crayon drawing' noted (highlighted) at the end of the article. The comment on this chalk drawing, from RSW's exhibition at Pynchon Galleries (1929), can be seen in this newspaper clipping shown below. To see a full view of the article, simply chick on it.